Matt founded Brandigo (formerly Aloft Group) in 1996 after spending 10 years of integrated marketing and branding management on the client side. As a result, Matt brings a fundamental understanding of all of the components necessary to create a successful partnership between client and agency. Matt’s area of expertise is launching brands and creating exceptional workplace cultures. Matt has worked with such organizations as Beacon Partners, The New England Journal of Medicine, Nuance, nThrive, FujiFilm Medical, American Association for the Advancement of Science (AAAS), GE, Harvard Business School Publishing, Nature Publishing Group and The North Face. His experience prior to Aloft included strategic branding work at The Clorox Company and PPG Industries. Additionally, Matt was the founder of XSPORT, Inc., an American-Russian company that acquired the intellectual property rights of 12 of the former Soviet Union’s top professional hockey clubs. Matt directed the teams’ international branding programs in Europe, Asia and North America and consulted with the organization on privatization and business. The company was successfully sold to NHL Properties. 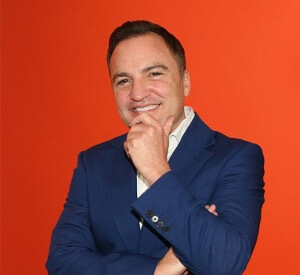 Matt has spoken throughout the United States, Europe and Middle East on various topics, such as creating winning brands and workplaces, brand-led innovation, inspiring creativity in the workplace and creating cultures that motivate employees to act like owners. Matt has been featured in the The Wall Street Journal, Inc. Magazine, FORTUNE Small Business, CMO, Boston Globe, BusinessWeek, Boston Business Journal, and Entrepreneur. Matt received the national “Best Bosses” award from FORTUNE Magazine and Winning Workplaces and was named one of Boston’s top business people by Boston Business Journal’s “40 Under 40.” In addition, Aloft Group was awarded a Boston Business Journal Best Places to Work and has received over 90 international awards. Matt has served on the board of directors for the Young Entrepreneurs Organization, Firehouse Center for Arts, CAPA International Education and E3, the global network of agencies based in Belgium of which Aloft is a member. Matt holds a B.S. in Marketing from Indiana University and an MBA from the University of Surrey in the UK.